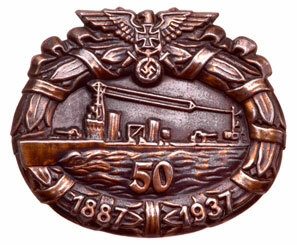 German Navy Soldatenbund Commemorative: The unknown ship looks like an early submarine!! A great German Naval tinnie that needs some research!! 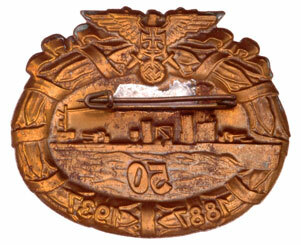 Copper plated steel, special bronze finish, 49 x 41 mm, soldered pin, scarce, light wear.